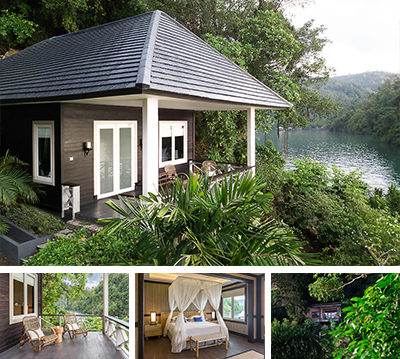 Thank you for your interest in Lembeh Resort & Critters@Lembeh Resort! Below are our rates, please view our accommodations page for a complete listing of our luxury room amenities in all categories and full board meal plan. Please contact us for special package pricing. For detailed offerings and rates please visit our Spa page. For a description of the land excursions and tours Lembeh Resort offers please visit our excursions page. Please note that all rates on site are displayed and charged in Indonesian Rupiah. Cash payments on site are accepted in Indonesian Rupiah, US$ & Euro. Credit-cards can only be charged in Indonesian Rupiah.